You are here: Home / Great Deals / Amazon Deals / 12 Organization Necessities For The College Bound Student! 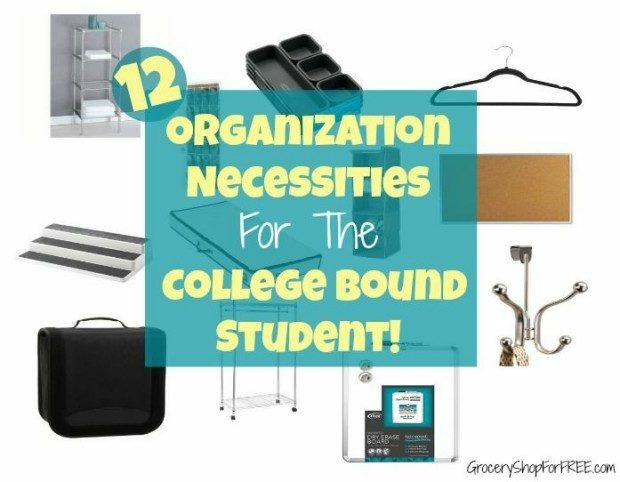 I have shared 12 Cleaning Necessities For The College Bound and 12 College Bound Dorm Study Necessities. 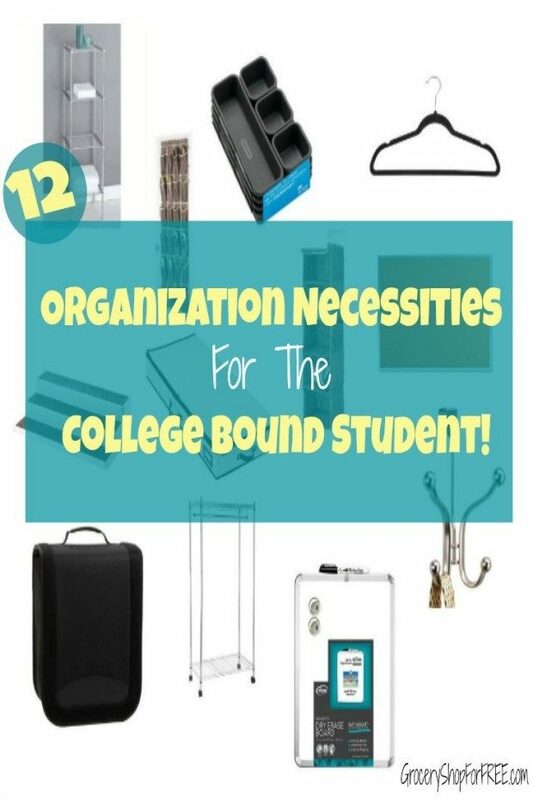 Now it’s time for 12 Organization Necessities For The College Bound Student! In such small dorm rooms you can never be too organized! Madesmart Interlocking Drawer Organizer Bins Madesmart Granite 8 Piece Interlocking Bin Pack (2 – 9.3″ X 6.3″ X 1.9″/ 3 – 9.3″ X 3.1″ X 1.9″/ 3 – 3.0″ X 3.1″ X 1.9″) Modular design. Granite. Mix and match for any drawer size and storage need. Board Dudes 11″ x 14″ Metalix Magnetic Dry Erase Board, Colors May Vary Perfect for drawing/writing at home or interactivity in a classroom setting. Large, easy-to-use and maintain writing surface. Plastic frame. Whitmor 6351-1234-JAVA Fashion Color Organizer Collection Hanging Accessory Shelves, Java Space saving hanging accessory shelves Five roomy shelves Fashion colored fabric Sturdy metal frame Hangs on standard closet rod.